Since 1979, our paving company has delivered premium residential and commerical paving services in Huntley with a focus on your exact project requirements with paving expertise and business success that’s passed down from one generation to the next. In addition, our staff members are fully certified, placing a priority on professional development and updated asphalt industry training. 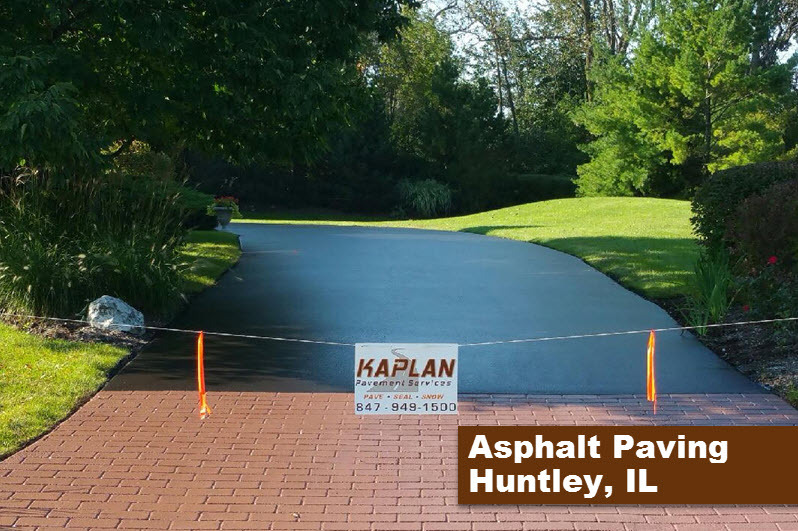 We provide durable, attractive asphalt paving solutions for Residential and Commercial customers in Huntley IL. Kaplan Paving sets the standard for exceptional service and precision paving. Combining professionalism and experience to deliver customized, durable paving products that last for a lifetime. We meet all your asphalt paving & driveway paving project requirements on time, on budget and with the quality you’ve come to expect from the best.